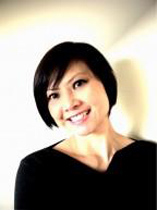 Esther Lim is a well respected Digital Marketing Leader, Transmedia Producer, Social Media Strategist, and Game Analyst. Esther has over fifteen years of combined interactive agency and consulting experience creating digital, social media and transmedia storytelling programs for Fortune 500 brands. Esther is currently the Executive Director of Digital Experience at George P. Johnson, a global experience marketing agency, and producers of alternate reality games The Threshold and The Hunt. Prior to joining George P. Johnson, Esther founded The Estuary, a digital marketing agency working with Fortune 500 brands to develop new forms of multi-platform interactive engagement, social media, and community programs. Her projects include PIE Theory, Sun Microsystem’s alternate reality game, Cluetracker, ABC Family’s alternate reality game for the Kyle XY pilot, Verizon Surround/Verizon Presents, Verizon’s entertainment portal, community and concert series, and more. Esther is an active international speaker on transmedia storytelling, storyworld community development and co-creation, and social media analytics at SXSWi 2011, SXSW Digital Domain, 2012, X Media Labs: Bath and Perth, Kreative Asia, Murdoch University, Cinekids Professional and StoryWorld Expo + Conference. Esther is an international mentor, C-Level Executive Advisor and Assessor for new media incubators such as IdeaBOOST, X Media Labs and the Film West, Interactive Media Fund of New South Wales, Australia. She also blogs for Girls in Tech and has been quoted by Forbes in articles on Women in Gaming, The Wire Magazine on Interactive Narratives, Digital Book World on Co-Collaborative Interactive Narratives and Social Media Today.